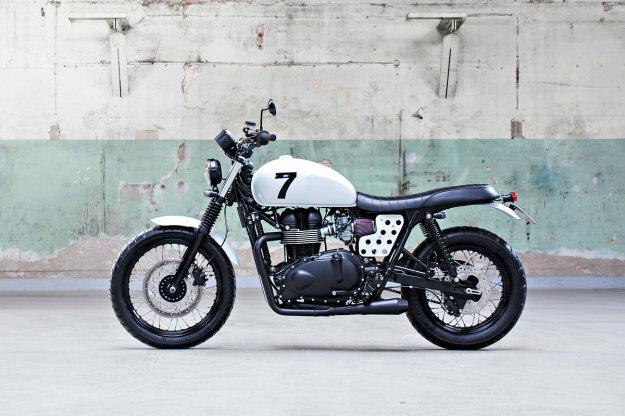 The Triumph Scrambler looks pretty good straight out of the box. But a few well-judged tweaks can lift it to a whole new level. 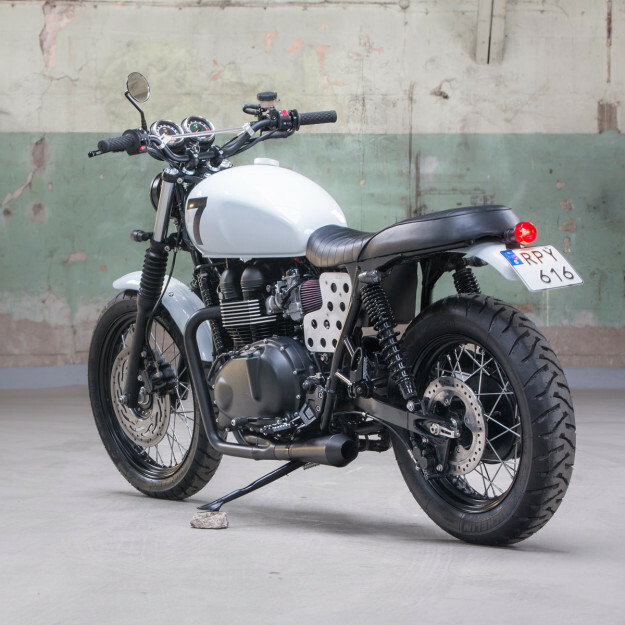 As much as we love radically modified Triumphs, it’s subtle custom jobs like this Gothenburg-based machine that really get our motors running. 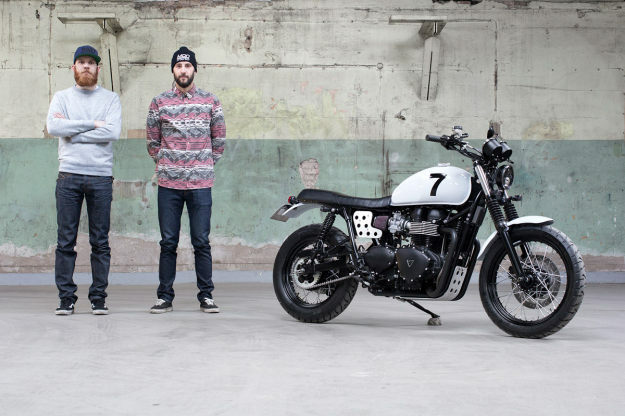 It’s the kind of build that mixes practicality with traffic-stopping looks. As expected, Mod Moto’s execution is delightfully Scandinavian—minimalistic and highly functional. Take the headlight, for example: a strong LED that blasts through the darkness of Sweden’s winter months, when the sun is only out for a few hours a day. 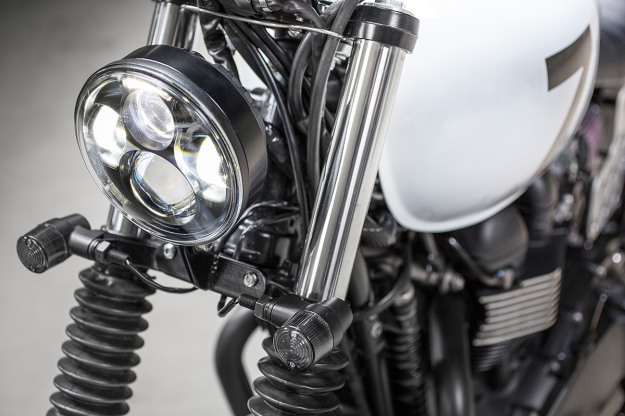 To improve the ergonomics, Mod Moto have installed MX-style handlebars and footpegs, along with Biltwell grips and a set of shorter, machined levers. The rest of the bike received equally thoughtful consideration. To shed visual weight, the Mod Moto crew fitted a slimmer saddle—one that’s also long enough to accommodate Andy’s wife or son on the back. 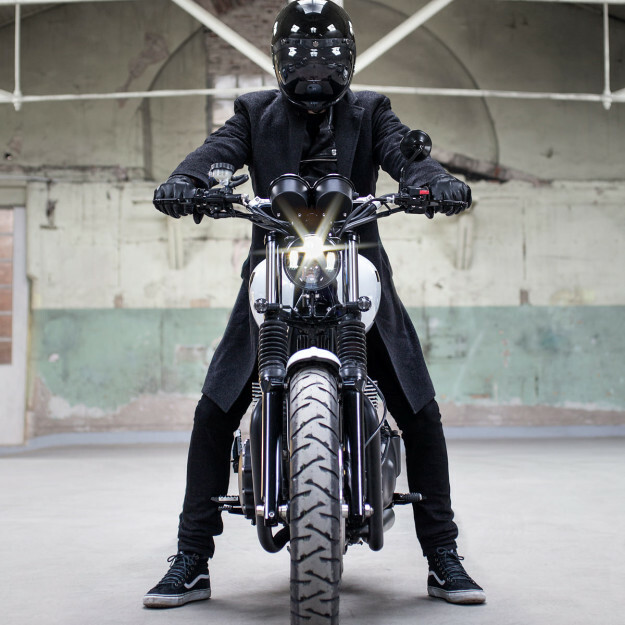 Rather than build it themselves, they chose a tried-and-tested system—a British Customs 2-into-1—and coated it black. 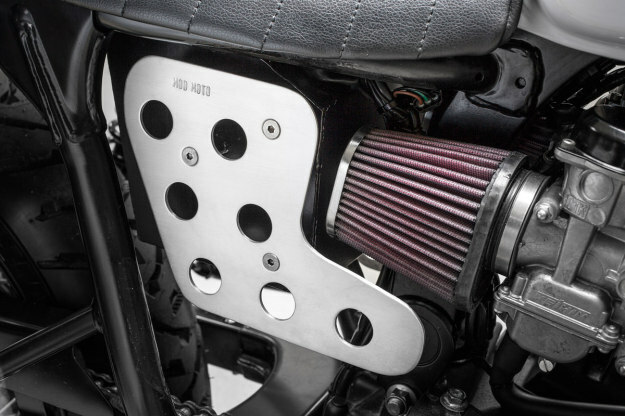 To get maximum effect from the new exhaust, Mod Moto also fitted a set of K&N filters. For smoother running, they’ve removed the oxygen sensors and modified the ECM with a new map from Triumph Twin Power. Rear-wheel-horsepower has risen from around 50 to 70—a remarkable 40% increase, with a boost in tractability too. Mod Moto have binned the restrictive stock airbox, and used the space to hide the battery and electronics. 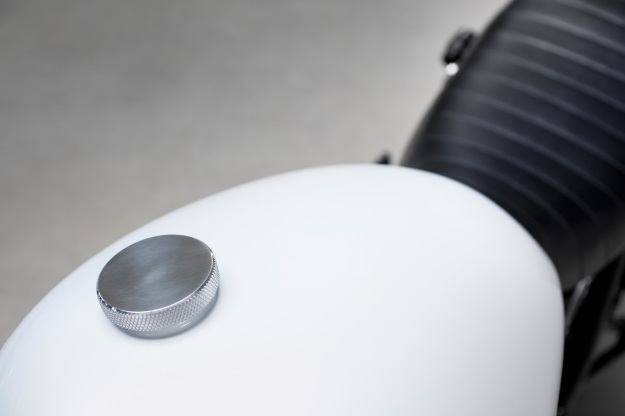 They’re concealed behind a set of drilled side panels—which go with the stock Triumph bash plate like meatballs and lingonberry jam. 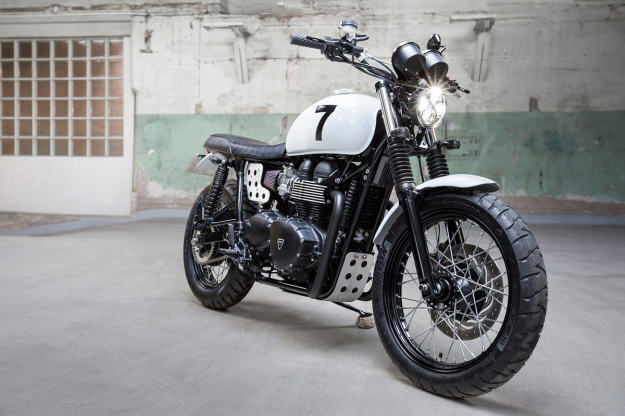 To keep the visuals as minimal as the layout, the Scrambler has been refinished in a metallic grey—and all the shiny metallic parts have been blacked out or toned down to a matte finish. Keeping things tidy are a smaller rear fender and taillight, and a set of tiny turn signals. It’s a Triumph that’s still lightly scrambled, but much tastier.